Pearl Fractional is a new fractional ablative laser with YSGG (2790 nm wavelength) technology. This exclusive laser wavelength was selected to maximize results and safety while minimizing downtime — all in a single treatment — through an optimized combination of ablation and coagulation. Pearl Fractional’s YSGG laser aggressively treats the signs of photoaging, deep dermal imperfections and difficult-to-treat perioral and periorbital areas. 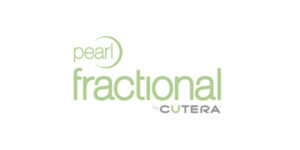 Pearl Fractional presents fractional ablation in a new light. Optimal treatment results demand both deep ablation and thermal coagulation. Moderate levels of coagulation are needed to minimize operative bleeding, but healing times and related risks of complications increase with excessive zones of thermal coagulation. Therefore, the ideal device combines deep ablation with controlled thermal coagulation to maximize results while minimizing downtime. Due to its specific water absorption characteristics, YSGG is the only laser wavelength capable of providing the dual benefits of deep dermal ablation with a controlled zone of coagulation.